There was no doubt in either camp that Borussia Mönchengladbach were worthy winners of the 84th Bundesliga Rhine derby against 1. FC Köln on Saturday. 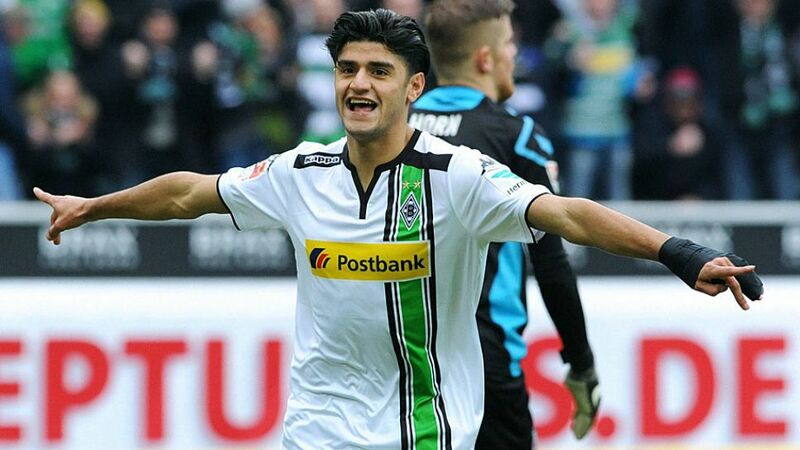 Mahmoud Dahoud (Gladbach midfielder): "We're delighted with the three points. A derby win is always special and I'm particularly happy for our fans. Obviously I'm also happy with my goal, but the win was a team effort. Raffael did brilliantly in the build-up to my goal and made the chance possible. That underlines how well we played together as a team today." Granit Xhaka (Gladbach midfielder): "For me, it was a well-deserved win. We wanted to make up for the defeat [to Köln] earlier in the season and managed that with a good performance from the whole team. We dominated for long stretches and played some fantastic football. The better team won the game and we can be pleased with that." Yann Sommer (Gladbach goalkeeper): "This derby win's great for us, we're all delighted. We played really well in the first half, we had a lot of possession and we showed a lot of heart. We were a bit too passive at times after the break, but we still defended resolutely. On the whole, we played well and deserved to win. I'm also pleased that we were finally able to keep a clean sheet. We'd gone quite a while without one, so it's particularly nice to do it in the derby." Havard Nordtveit (Gladbach midfielder): "I'm really happy that we were able to give our fans this win because we know how important this game is for them and for the whole club. It was a tough battle, but sometimes you have to do that to win. It's a great day for us all. We need to build on it in the weeks ahead." Andre Schubert (Gladbach head coach): "All in all, the win was thoroughly deserved. We created a number of good chances, but unfortunately only took one. We could have maybe put the game to bed, but it's good for my team that they managed to keep a clean sheet and see out a narrow win." Peter Stöger (Köln head coach): "I'm disappointed [with defeat]. We didn't do much right, particularly in the first half, and we fell behind as a result. We improved after the break. We were better in the tackle, but if you don't turn up for an entire half in a Bundesliga game, you can't complain if you lose. Congratulations to Borussia." Matthias Lehmann (Köln midfielder): "A first half like this one, in a game like this in particular, really can't be allowed to happen. We just didn't get into the game in the first half and they rolled us over. It was really bad, we've got to say. The second half was the opposite." Timo Horn (Köln goalkeeper): "It was too little from us today. It's not often that we can be accused of not putting in the effort, but today that was the case. It felt more like a friendly game than such an important fixture. The coach raised his voice at half-time and it was better in the second half but overall it was too little from us and we made it too easy for them to win."